In: AAUA Hostel Placement Application Form 2016/2017 Academic Session!! AAUA Hostel Placement Application Form 2016/2017 Academic Session!! 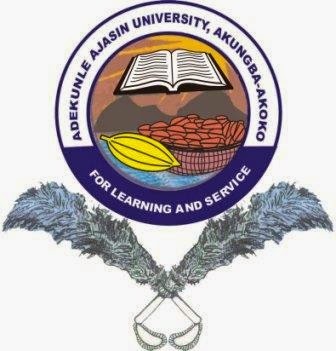 Adekunle Ajasin University, Akungba-Akoko, AAUA Hostels/Halls of Residence placement application forms is now on sale for 2016/2017 academic session. All students go the University who are interested in a space in the school hotel can now obtain their application forms. We hereby inform all students (both fresh and stale students) of Adekunle Ajasin University, Akungba-Akoko (AAUA), Ondo State who wish to stay in the university Hostels/Halls of Residence to obtain forms for placement. Interested students can obtain and complete their application forms online as from Monday, 27th February, 2017, by following the procedure outlined below. 4. Make a payment of N1,000.00 for Application Form online via BANKIT or ETRANZACT. 6. If eligible to pay the Hostel fees, Kindly proceed with the payment via BANKIT (as in step 4) as follows: Male (#8,000), Female(#10,000), FDR (#5,000). NOTE: Only those who have paid their school fees can pay the Hostel Fees.